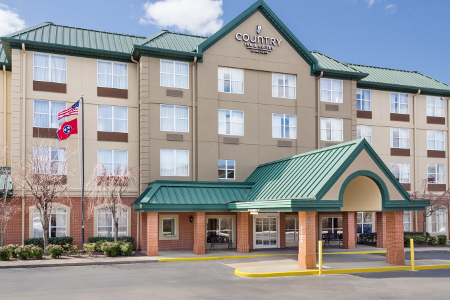 Pull off I-65 at Exit 68 for a relaxed stay at the Country Inn & Suites® by Radisson, Cool Springs, TN. 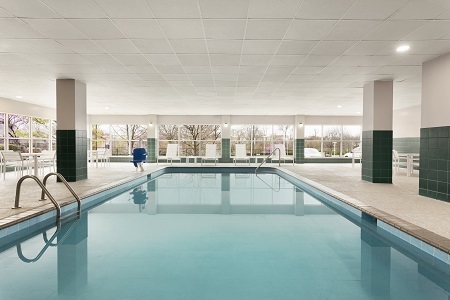 Situated 20 minutes south of Nashville and about four miles from historic downtown Franklin, our hotel is a hot spot for fun-loving families on vacation in central Tennessee. 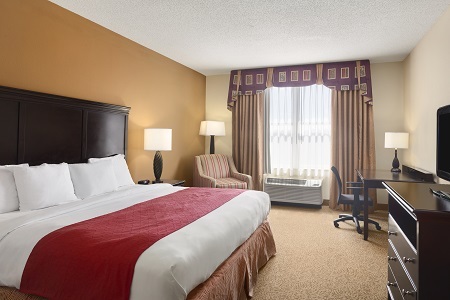 Walk next door to shop at CoolSprings Galleria, and then end your day in one of our hotel’s spacious rooms equipped with free Wi-Fi. In the morning, we’ll prepare bacon, waffles, eggs and other breakfast favorites at our free, hot breakfast. Renewing the romance? Reserve one of our Whirlpool Suites to enjoy a refreshing whirlpool tub built for two. Our suites are also equipped with all standard amenities, including a plush king-size bed. 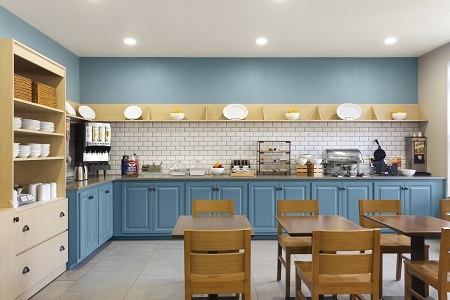 Step into our sunny dining room and start your day at our free, hot breakfast. We dish up favorites like bacon, omelets, fresh fruits, waffles, rosemary-and-garlic diced potatoes and much more. For lunch or dinner, try hardwood-grilled seafood at J. Alexander’s or savor delicious cuisine at one of many other nearby restaurants. 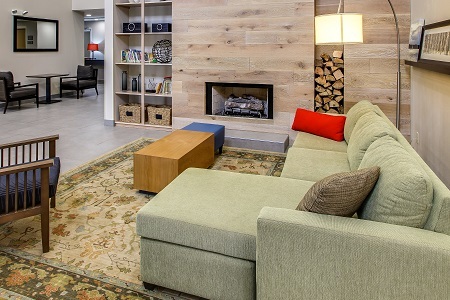 CoolSprings Galleria – Less than a mile from our hotel, CoolSprings Galleria lures in shoppers for bargains at Belk, kid-friendly souvenirs at American Girl and tasty bites at The Cheesecake Factory. The mall’s 200 shops also include Ann Taylor, Pottery Barn and Dillard’s. Bring the kids, too, because there’s a play area for the little ones and a trampoline park for the teens. Carnton Plantation – This exquisite antebellum home once served as a hospital during the American Civil War. You can take classic or extended tours of the house and grounds, located less than seven miles south of the hotel. Historic Downtown Franklin – Drive four miles southwest of our hotel to experience one of the best-preserved historic downtowns in all of Tennessee. Sixteen city blocks host 70 restaurants and shops as well as art galleries and boutiques. Festivals like Dickens of a Christmas help keep downtown Franklin bursting with energy. The Country Inn & Suites, Cool Springs, TN does not accommodate pets at this time.